Casa Anatolia is located just steps from the white sandy beach. This first floor rental home is ideal for a couples, families, vacationing with friends or whatever your holiday plan is. The central location allows you to explore Playa del Carmen little Italy and Cocobeach area beaches restaurants, bars, quaint caffees, shops and best of all: The activities the Riviera Maya Mexico has to offer. Casa Anatolia living area has very comfortable sofa plus two additional individual sofas, flat screen tv, central air conditioning, private terrace, dining table for 6, fully equipped kitchen including gas stove and oven, full refrigerator and all you need to have a gourmet experience if your heart desires. After a tiring day at the beach while you are relaxing you can hear the water fountains running through the gardens paths below. Queen bed guest bedroom, has ensuite full bath with shower, hair dryer, large closet, ceiling fans, digital safety box and its nicely decorated as the rest of the apartment. King size bed guest bedroom, offers lots of natural light, walk-in closet, full bath with shower, hair dryer, and ceiling fan, bedding is very comfortable. 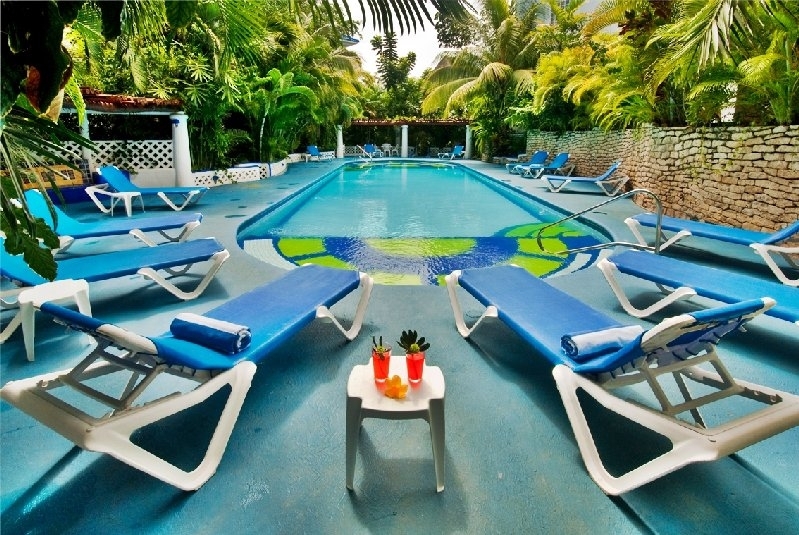 Some of the amenities include, bath and bed linens, beach towels, TV (with satellite) and wireless internet for those wishing to tell their friends back home what a fabulous time you are having! There is access to the rooftop area where you have views across Playa Del Carmen, the beach and ocean. 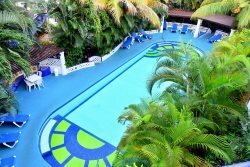 You will just love relaxing poolside!... Natz Ti Ha has private parking, 24 hour security a fabulous swimming pool with sun loungers within a beautiful lush tropical garden setting; the soothing sound of waterfalls ensures total relaxation From here you are just half a block away from the beautiful white sandy beach, here you have many water sports to choose from as well as some very cool beach bars and restaurants. For the golfing enthusiast there is the Playacar golf course just minutes away by car. Natz Ti Ha is just steps away from the buzzing 5th Avenue. Casa Anatolia offers relaxation and luxury in fabulous surroundings with the convenience of the beach and the famous 5th Avenue just steps away!